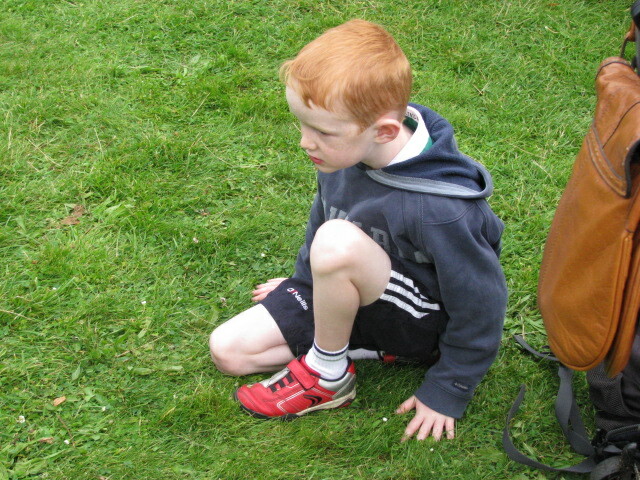 Last Saturday, while I was watching the women’s triathlon, I noticed this little boy. He didn’t look like he was having fun at all. I hope his day improved. This entry was posted in Sports and tagged 50 Year Project, Children, Happy Camper, Life, Olympics, Photo, Photography, Sporting Events, Women's Triathlon. Bookmark the permalink. Reminds me of my kiss sometimes! Great shot and how awesome you get to watch the Olympics live! I’m enjoying it. I think I’ve looked like this on occasion when things aren’t going my way. I felt like giving him a cookie, but I didn’t have any. Poor guy. And he might remember that he saw the Olympics. That would be funny, if he bragged about it years from now. Your opening pretyy much said it all: he was watching the woman’s triathlon, no wonder he looked unhappy! And he probably couldn’t see a thing, but he doesn’t look like he wanted to. My guess would be hungry. It was early morning and they may have skipped breakfast to get to the race.